BikeCad : Bikes. Rants. Adventures. When I was little, I had a giant Lego collection that I absolutely adored. Hours were spent at my Lego table, with my mountain of various Lego pieces, and I'd build anything from robots to houses to vehicles only to tear it down and build something new the next day. I loved trying to combine different sets and create the strangest things that I could, and fortunately I never lost that love of tinkering and building. Currently there are no Legos in my apartment - but I do have my bikes and my love for working on them. There are often a lot of things that I'd like to test or visualize somehow though - what would this look like with a sloping top tube? How will this frame look built up? 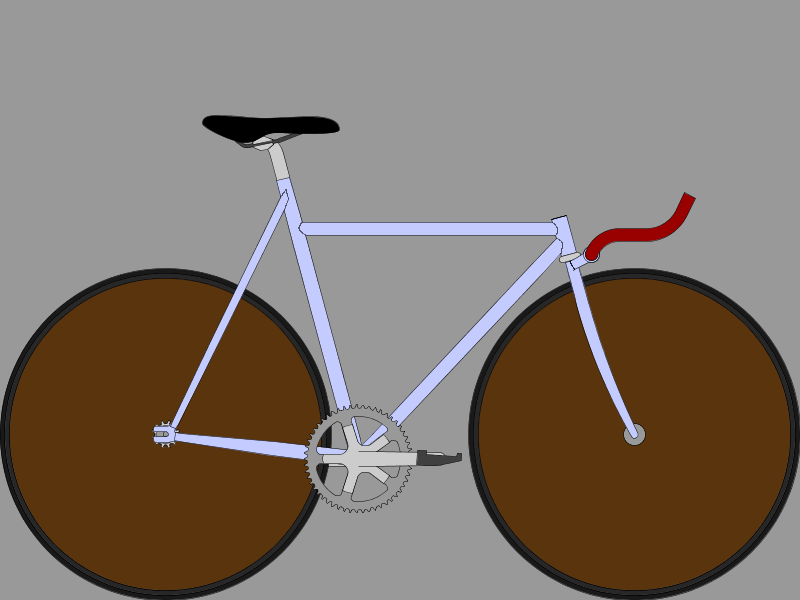 What if I could redesign this bike entirely? I remember having discovered this nifty program some time ago, but it was brought forth again after my visit to the Yamaguchi Frame Building School. BikeCad lets you design, visualize, tweak, and essentially build just about any kind of bike to your heart's content - and did I mention the online version is free? If you're looking to build a frame from absolute zero, this program probably won't do everything for you, but it's an excellent start and a great way to check measurements and get an idea of how you want things to look. Plus, it's fun to think up and build various bikes. Road, mountain, fixed gear, BMX, tandem...pretty much whatever you think of. I mean, if someone can use it to build a Takhion, what's not to love? The Pro Version is available as an install for serious builders, and it has many more options than the free version.